Vail powder… is it worth the price to ski at one of the planet’s priciest resorts? Nobody ever accused Vail of being a cheap mountain. But the latest price bump — $160 for a single-day adult holiday ticket — is getting powder lovers to sit up and take notice. Many resorts, including other mountains owned by Vail Resorts, increased holiday rates during the busy Christmas and New Years season. The prices may be in effect during other busy times, like President’s Day and spring break. Breckenridge, also owned by Vail Resorts, raised ticket prices from $140 to $145. Deer Valley, Utah, went from $114 to $120. Park City, Utah, raised prices to $115, and Whistler/Blackcomb, in British Columbia, upped its rate to $119 (Canadian). According to the Aspen Daily News, single-day tickets at resorts owned by SkiCo (which manages Aspen Mountain, Aspen Highlands, Snowmass and Buttermilk) have gone up 65% since 2005. That’s a huge increase, and skiing at these resorts is simply becoming unfavorable to many. A family could easily pay $600 to $800 just to get on the lifts for one day, not to mention parking fees, food, gear or rentals, and more. Of course, many people do not purchase tickets at the window. A Vail Resorts spokesperson said the price increase will encourage people to pre-purchase multi-day passes at a discount, one of many ways to save money on ski and snowboard trips. 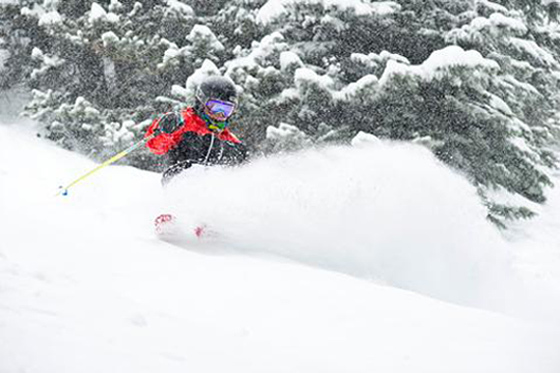 Season passes provide the best value for those who will ski regularly through the season. A 2014-15 Epic Pass (good at all Vail Resorts) sold for $729, or less than the price of five single-day Vail holiday tickets.